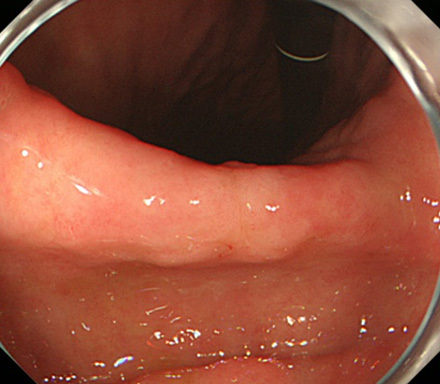 A reddish protuberant lesion was observed on the greater curvature of the upper gastric body. 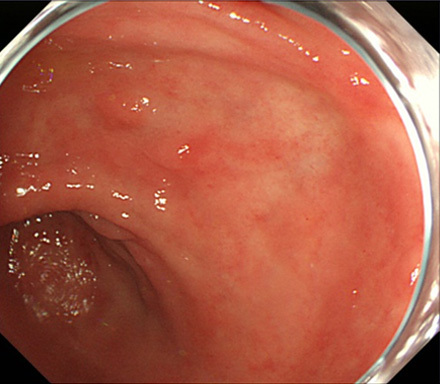 The gastric folds of background mucosa was very thick. 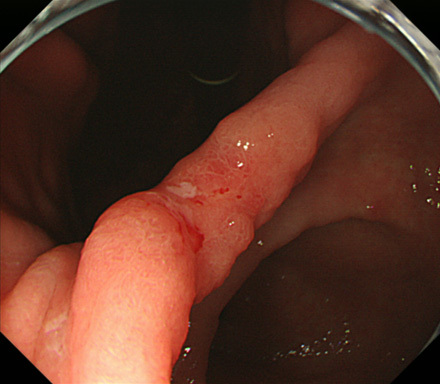 NBI magnified endoscopy of the lesion showed irregular surface and vascular pattern. 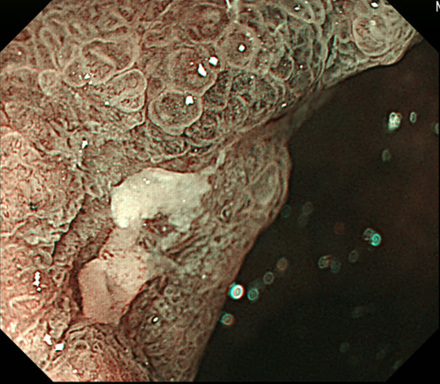 How do you diagnose this lesion? 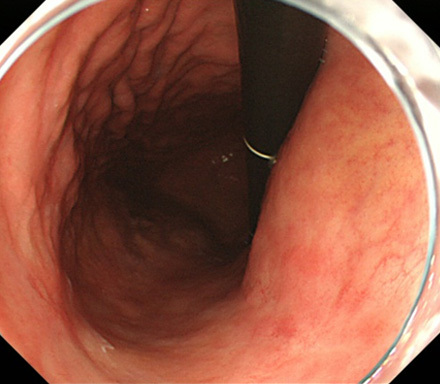 A reddish shallow depressed lesion was observed on almost circumference of the middle esophagus. 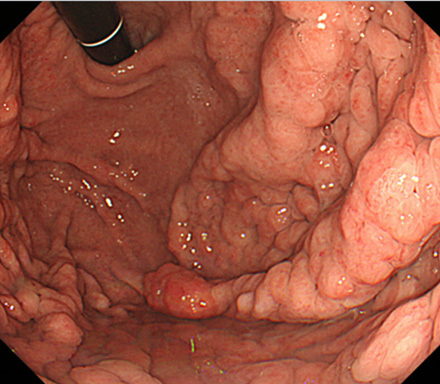 NBI endoscopy revealed a brownish area. 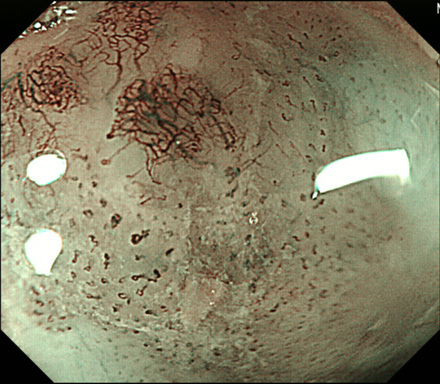 NBI magnified endoscopy showed various irregular micro vascular pattern. 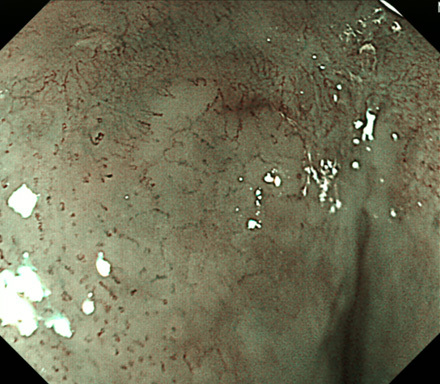 How do you diagnose this lesion? 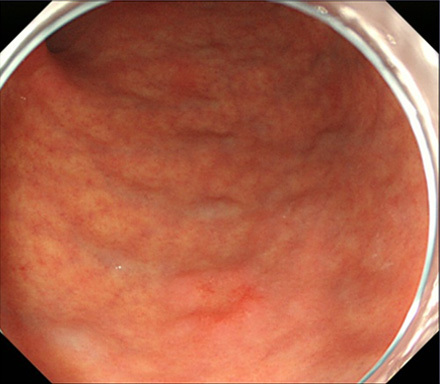 A reddish depressed lesion with scar was observed on the gastric angle. 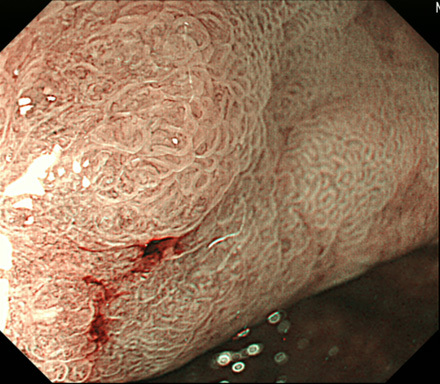 NBI magnified endoscopy showed irregular surface and vascular pattern. 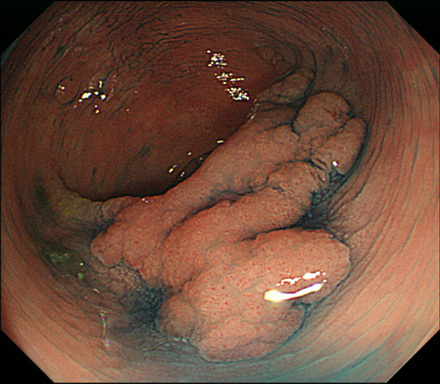 How do you diagnose this lesion? 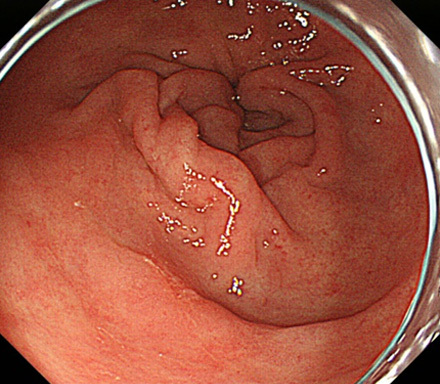 A flat elevated lesion was observed on the fold of the transverse colon. 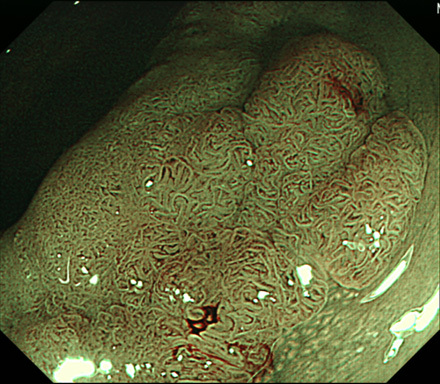 NBI magnified endoscopy showed various irregular surface and vascular pattern. 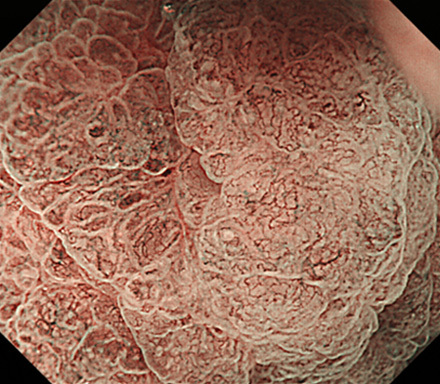 How do you diagnose this lesion? This is a mysterious case. The patient referred to our hospital for the work up of a depressed lesion. 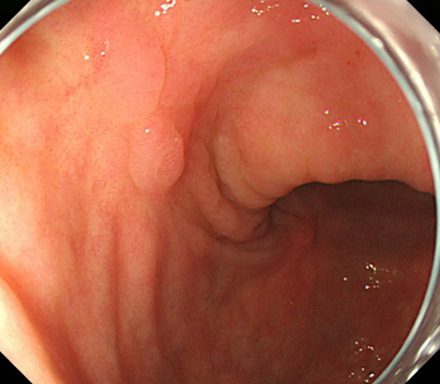 However, there are so many depressed lesions in the stomach. How many cancers can you find? What is the histology?